The couple was mocked for not having a more lavish wedding spread. (PHOTO: Getty/Gallo Images). 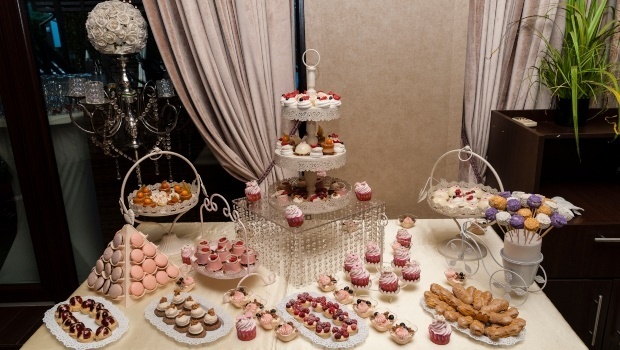 The spread was called “pathetic” in a number of comments with some stating that the food looked more like a toddler’s birthday party than a wedding reception. A bride and groom are being mocked online after a guest posted secret photos of their “poor” wedding spread. The guest uploaded the photos to a wedding shaming group on Facebook. “A wedding feast for your eyes,” the anonymous guest – who’s believed to be from the U.S. – captioned the photos. The images reveal hundreds of slices of processed cheese slices laid out in rows, trays of celery and carrot sticks, cubes of melon, orange slices with the stickers still on them and a tray of iced brownies, the Daily Mail reports. The spread was called “pathetic” in a number of comments with some stating that the food looked more like a toddler’s birthday party than a wedding reception, FOX News reports. Other guests were confused by the fact that the couple found the time to unwrap hundreds of slices of cheese but couldn’t be bothered to take the stickers off the fruit wedges, Metro UK reports. Some came to the couple’s defence by saying that weddings are expensive and perhaps they couldn’t afford a more lavish wedding spread. Others lambasted the original poster, saying that the wedding day is supposed to be about love.